Today, October 5th, is officially World Card Making Day! This holiday is an opportunity to celebrate the creativity of handmade cards and the personal connection that they create between friends and family. It’s also a time to get a jump-start on the holiday card-making season! Designed To Color, has decided to celebrate this special day with an awesome Blog Hop!! Our Design Team and special guests have made some amazing cards! Several of us will also be sharing some card-making tips along the way. 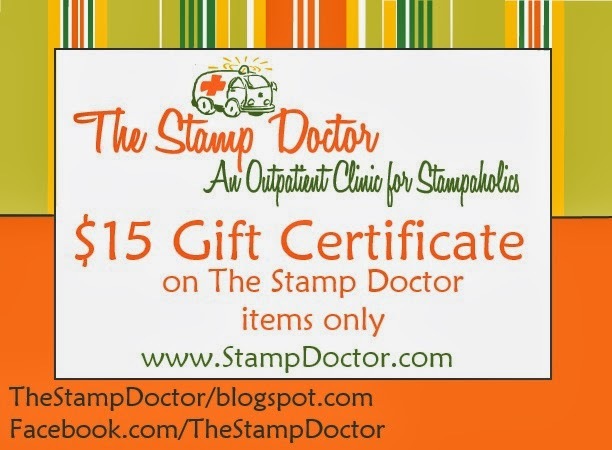 …..just to name a few! on Wednesday, October 9th. GOOD LUCK! outside the box when it comes to media that can be cut with dies. This sparkly corrugated paper cut like butter! Facebook Page to share your creations. Now off to Laura's terrific blog. Click right here to be transported. Those googlie eyes and that sentiment are a real hoot, happy world card making day. Awesome Halloween card! I love how all of the elements came together and I love that sparkly corrugated paper! Sue cute and very fall-like! What an adorable Halloween card! LOVE that corrugated paper - and thank you for the reminder, Susie! i never stray from the standard cardstock/patterned paper in my Cuttlebug. need to think outside the box! 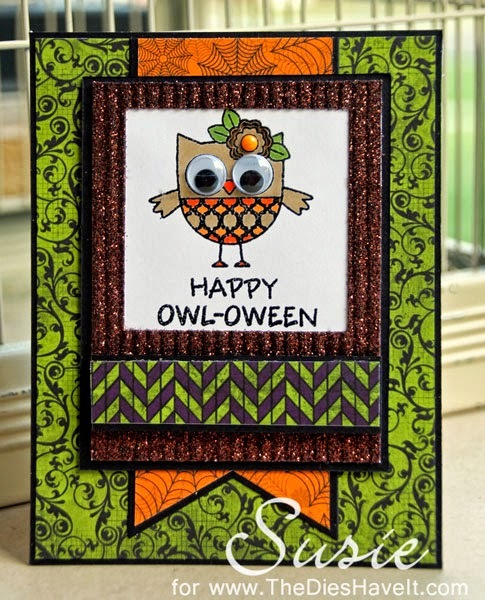 love your googly-eyed little owl friend - such a fun and bright card! Great card! Great combination of designs/colors of card. Its a great tip and its something I may need to do more of in future card making projects. 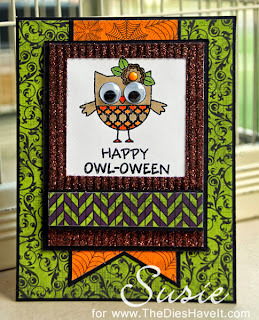 Fun card Susie, I love Halloween and Owls! Hoot, Hoot - I like the colorful background for your owl. This is so cute, Susie! Love the fall colors and sparkle diecuts! Adorable owl! Thanks for the tip! Ha ha! Love the googly-wiggle eyes!! That put a smile on my face! Thanks for sharing!